I flew to Moscow on 1 October to relieve Roland, who’s been looking after the birds pretty much on his own while they’ve been in quarantine at Moscow zoo. I arrived just before 4pm. I collected my luggage, in which were dismantled crates we’re going to use to transport the birds to the UK next week, and a big bag of pick n mix sweets for Roland!! The rush hour traffic was heavy in the pouring rain and it was 6.30pm before I was re-united with Roland. It was lovely to see him so enthusiastic and in superb spirits despite working alone for so long. What a great man. He talked non-stop for the next hour, telling me about the birds, their living conditions and their behaviour. At 7.30 pm we visited the birds, to give them the last of their three daily changes of fresh food and water. This was very exciting for me to see the birds again. They are living in a quarantine station – a place where they are safe from any disease. As we walked along the tiled corridor to their quarters, we could hear them. They must have heard our approaching footsteps and chit-chat and begun a conversation of their own. 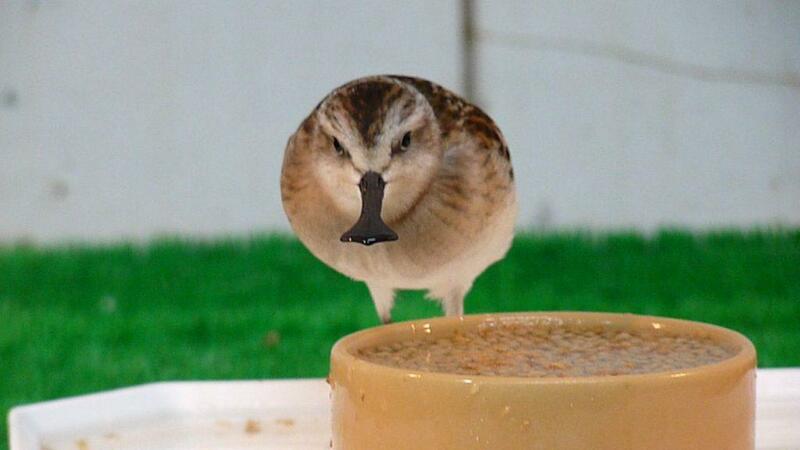 I turned into their room and there they were – juvenile spoon-billed sandpipers! Perhaps more in this room than have survived in the wild this year. These are the cutest looking little birds you could wish to see. Like wind-up toys, they scuttled about, sometimes quickly, sometimes slowly, but with endless energy it seemed. They’d often stop suddenly to shuffle grains of sand with their extraordinary bills, or to ‘defend’ a space under the warmth of a heat lamp hanging from the ceiling. To defend a space, a bird would hunker down close to the ground, tilt its head forward and swivel full circle, literally on an area the size on an old sixpence piece, chattering constantly. Often another bird would barge into a displaying bird as if were a miniature fairground dodgem car. They looked utterly amazing and I was so thrilled and exhilarated I can’t remember the rest of our evening. Suffice to say it involved unpacking and listening to Roland as he talked and talked and talked – not surprising given his long isolation! 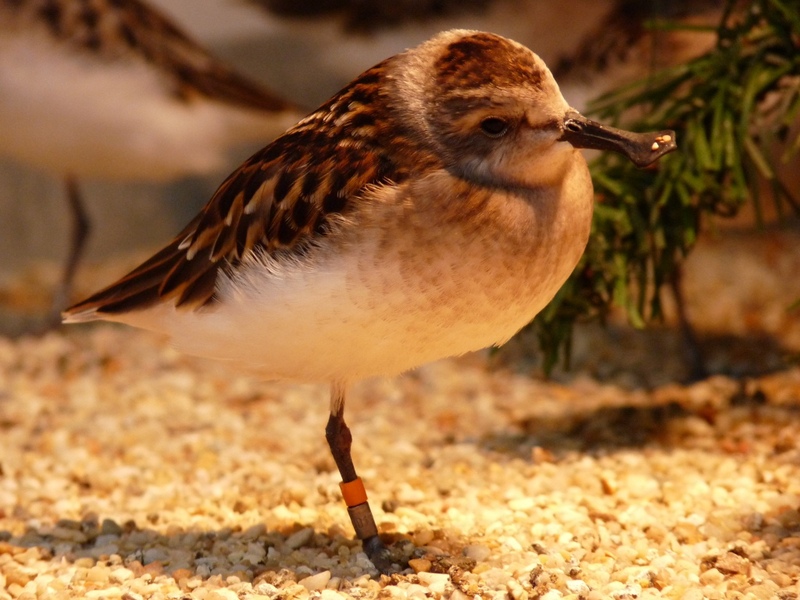 Reading this whole story, from first going out to Russia until now with so many healthy juvenile sandpipers, has been an emotional white knuckle ride for me. I can’t even begin to imagine what it must be like for you to see these birds again, having invested so much of yourself in them. Well done, Roland, for looking after them so well. They look wonderful. Good luck for the next stage of the journey. I have everything crossed (I’m still worried about their up-coming journey in the hold!). Wow, they are looking in great condition! Good luck for this upcoming period, I’m sure it’s going to be rather stressful. I hope that the birds arrive on these shores in the same condition they left. I was a little disturbed to hear that these priceless birds are going to be shipped back to the UK in the hold of an aircraft? Surely not? this was shipped back to Juneau on the flight deck of a 737 under the watchful eye of the pilot!! Is it not possible to make some special arrangement for such a valuable cargo? Thank you for your concern for the birds! 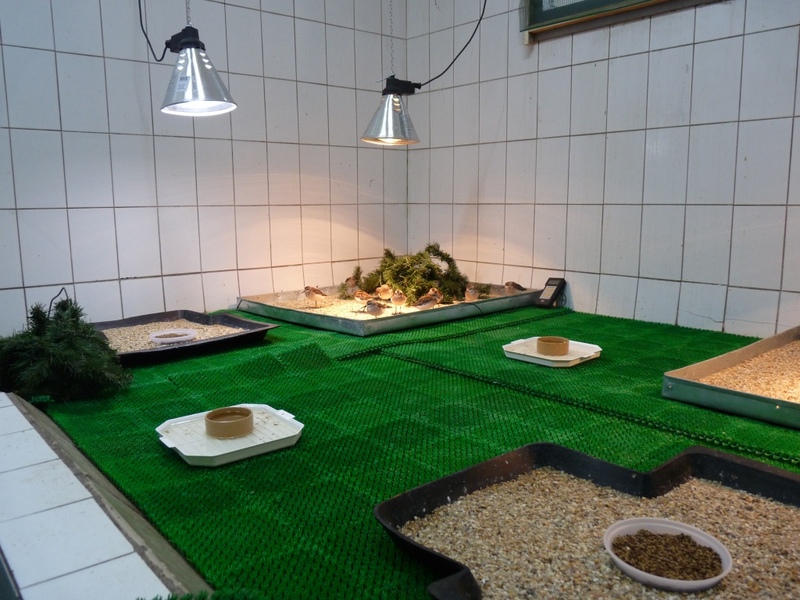 The birds will be in an atmosphere-controlled section of the hold specially designed for animals. Cats, dogs, birds and pets of all kind are routinely transported in these areas of aircraft. 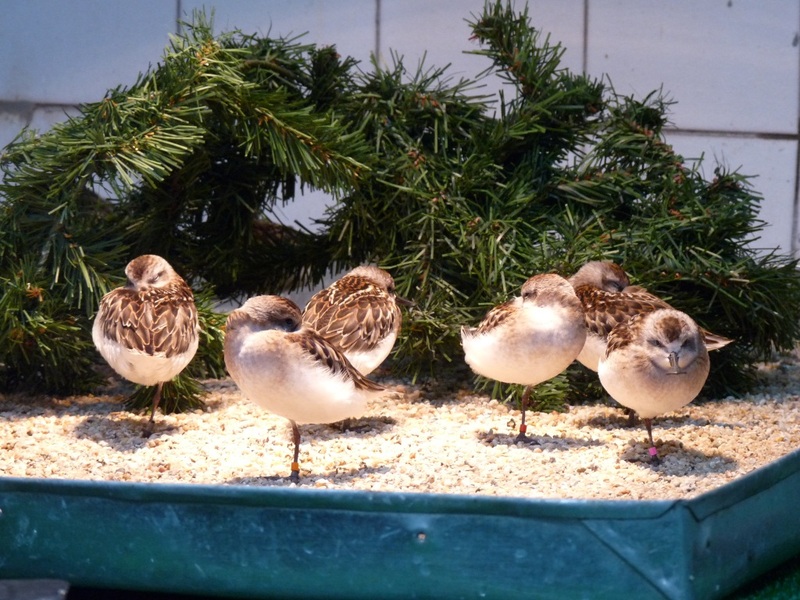 While we’d be slightly happier if the birds were in the passenger cabin, Heathrow does not allow animals to be transported this way – they have to be in the hold. Although it will inevitably be a stressful and anxious journey, we’re confident that everything that can be done has been done to make it as smooth as possible for the birds. What a wonderful email and the photos are enchanting. Thank you SO much for keeping us informed. I can’t wait to hear they have arrived safely at Slimbridge.